I am a big fan of natural sunlight, and evidence links it with a range of potential benefits for the body. Light also has the capacity to effect the brain. The role for light here becomes immediately apparent in the winter, when light can be in short supply and some people find their mood and energy levels taking a distinct turn for the worse. In such individuals, some ‘light therapy’ can help energise and revitalise those prone to ‘winter blues’ and ‘seasonal affective disorder’. It’s great that light can energise people in this way, but this is not something we want if we’re looking to get to sleep. One effect of light is to suppress the secretion of melatonin – the brain chemical that is integral to our sleep patterns. In January of last year I wrote a blog post about research which found that exposure to indoor lighting in the evening suppressed melatonin secretion. For those wanting to get the best sleep, I suggested turning the lights down low in the evening. However, room lighting is not the only source of lighting in the home. Many of us are now surrounded by light-emitting devices such as laptops, iPads and tablets that could, in theory at least, disrupt our sleep at least in part through some melatonin-suppressing action. 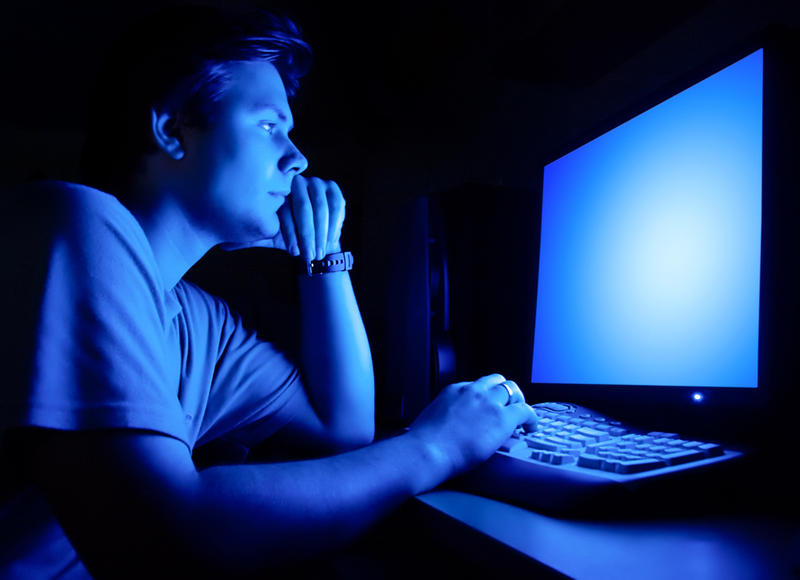 Compared to no light exposure, there was significant suppression of melatonin secretion after 2 hours of light exposure from the device, and after just 1 hour of exposure to the light from the device and additional blue light from the goggles. There’s a software that can, at least partially, fix this. It adjusts the color of your computer monitor depending on the time of the day. In the evening it shifts the color spectrum towards yellow and orange and away from blue. F.lux – Fabulous, it ‘soothes’ your eyes if you wear contact lenses too! I noticed a difference almost immediately. Flux works for me too Both on my PC and Mac laptop and on my tablet and kindle app it’s possible to soften the lighting in the evening. Flux is well worth trying. Kay that’s good to know as I was having difficulty getting to sleep afer using my Kindle. Thanks. Another F.lux fan here. I have to use my computer until just before bedtime but this has made a huge difference. John–great post. Anything that interferes with melatonin has the potential to interrupt sleep. That includes diet. Our modern diet of processed foods containing sugar, HFCS and high glycemic carbohydrates especially from grains seems to be bad for our brain. Over time these dietary elements can lead to diffuse brain dysfunction that we now call Carbohydrate Associated Reversible Brain syndrome or CARB syndrome. People with CARB syndrome develop symptoms reflecting low levels of monoamine neurotransmitters like serotonin. If you have low levels of serotonin in your brain, you will also have low levels of melatonin because melatonin comes from serotonin. If you want a good night’s sleep, stay away from the junk!